The photo above could well be our first look at the LG Nexus 4 in white. 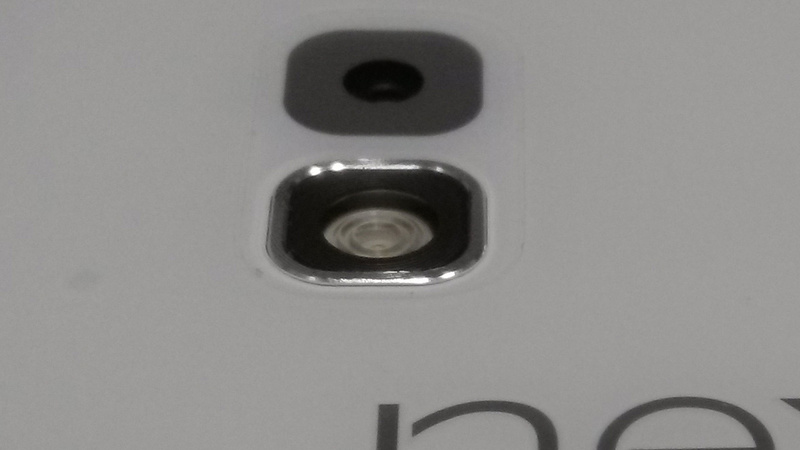 The shot was sent in to PhoneArena by an anonymous tipster, and seems to show the current Nexus phone with a white exterior and silver-trimmed LED flash. As with any image of unknown origin, there's no way to guarantee its veracity, but we have to say it looks real enough to us. The full 13MP original can be inspected over at the source link, and we've got an expanded view of the lens and flash after the break. If nothing else, the difficulty involved in fabricating an image of this size is a point in its favor. We've also heard whispers ourselves of a white Nexus 4 being in the works in the weeks since the original black model launched. And remember that LG already offers a white version of the Optimus G, the phone upon which the N4 is based. The previous two Nexus phones have been available in white too, albeit in limited quantities. Anyone in the market for a white Nexus 4? Shout out in the comments!